Ram Cichlids are probably one of the most popular species available in the aquarium trade today. This is due to a mixture of factors such as delightful coloration, ease of care, and personality. However, before you decide to run out and buy a pair of these delightful tank members, you need to consider how big do Ram Cichlids get? How big do Ram Cichlids get? There are four different species of Ram Cichlid with a maximum size ranging from approximately 2 ½ to 3 inches. To reach their full growth potential Ram Cichlids require an aquarium minimum of 30 gallons with appropriate care. Given this, Ram Cichlids can have a lifespan of up to four years. 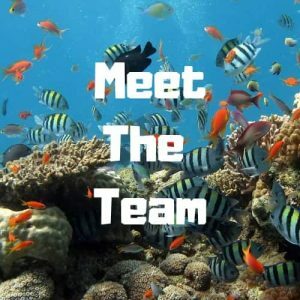 What Are The Four Types Of Cichlid And How Big Do They Get? Bolivian Ram – With its golden brown body and reddish highlights on the dorsal and caudal fin the Bolivian Ram is undoubtedly the plainest of the four types of Ram Cichlid. What it lacks in looks, however, it makes up for in personality. They are sociable, active, and always entertaining. The Bolivian Ram can reach up to 3 inches in size and is the largest of the four types. Electric Blue Ram – Of the four the Electric Blue Ram has to be the fiercest looking with its electric blue body, spiked dorsal fin, and bright red eyes. It is the Bulldog of the Ram Cichlids with the personality of a lamb! Yes, a lamb as like the Bolivian, the Electric Blue Ram is extremely personable and a perfect tank mate for other aquarium dwellers. This Ram Cichlid grows up to 2 ½ inches and is captive bred; originally in Asia. German Blue Ram – Undeniably the most popular of the Ram Cichlids, the German Blue Ram is an explosion of blues, oranges, reds, and yellow. They, again, are peaceful and friendly with other aquarium members and provide great entertainment swimming around. They, like the Electric Blue, are captive bred and can grow up to 2 ½ inches. 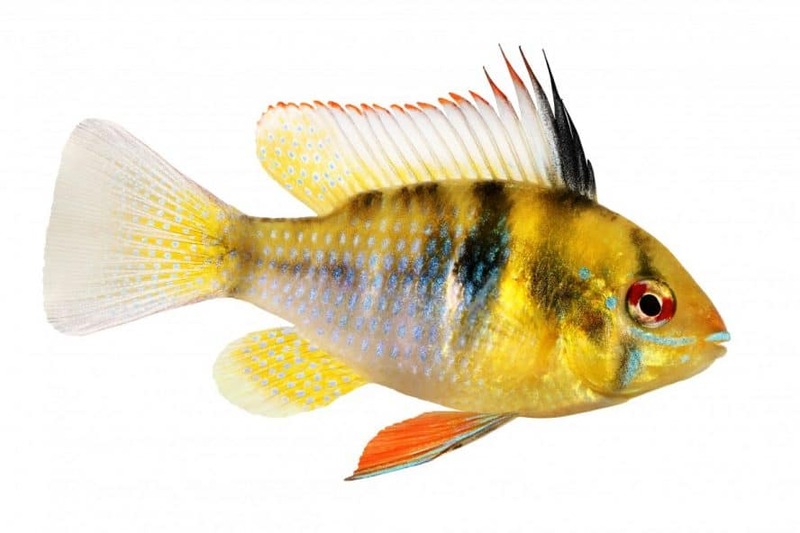 Golden Ram – Found naturally in the Orinoco drainage within Venezuela and Colombia the Golden Ram is for many fish keepers, arguably, the most attractive of the Ram Cichlid species. This is due to its light golden body mottles with electric blue flecks that shimmer in the light. The Golden Ram can grow up to 2 ½ inches and is, if possible, slightly more docile and laid back than the other Ram Cichlid types. For more information on all the different types of Ram Cichlids then pop over to our article entitled: Ram Cichlid Types and see all the amazing varieties of these Cichlids. How Do You Ensure Full Potential Growth In A Cichlid? Pick Healthy Specimens – This sentiment probably goes without saying since the majority of fish keepers are careful in their aquarium choices. However, there has been some concern over the captive breeding of Ram Cichlids, especially the Electric Blue. 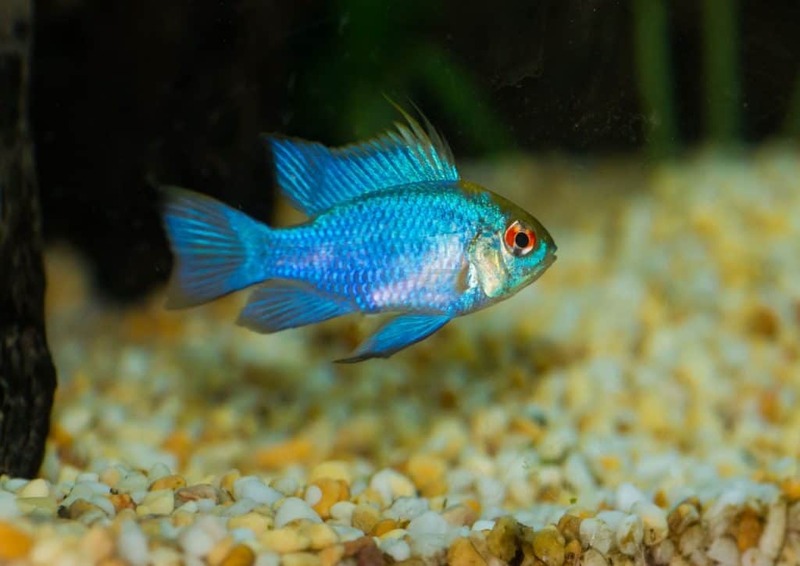 As a fairly recent addition to the aquarium trade the color morphed Electric Blue Ram comes with a warning, and that is that if you are offered one at a bargain-basement rate, you should not buy them. This is because the chances are they have had a hormone treatment which weakens them and lowers their lifespans. This also applies somewhat to the also captive created German Blue Ram. Appropriate Sized Aquariums – It is pretty much accepted that the placing of a fish into an aquarium too small for them will stunt a fish’s growth. This means that, in say, an aquarium of 10 gallons a pair of Ram Cichlids are never going to reach their full potential size. Rather, they need at least 30 gallons, of correctly aquascaped aquarium, to reach their maximum length. It should be noted here that providing a correctly sized aquarium is not just about your Ram Cichlids growing to their maximum potential, it is also about ensuring that they remain happy, healthy, and well cared for. Fish kept in inappropriately sized aquariums are known to suffer from stress, illnesses, and have shorter lifespans. Providing The Correct Care – When it comes to the potential growth of your Ram Cichlids the most important care factors have to be aquarium size, as talked about above, and nutrition. Nutrition, as you will know from eating yourself, ensures that your Ram Cichlids will grow up strong, healthy, and to their full size potential. Ram Cichlids are omnivores and should be given a varied diet of both meaty foods and greens. Bloodworm, brine shrimp, high-quality flake or pellet foods are all great for a well-balanced diet. For a complete feeding guide, take a look at our article entitled: What do ram cichlids eat? 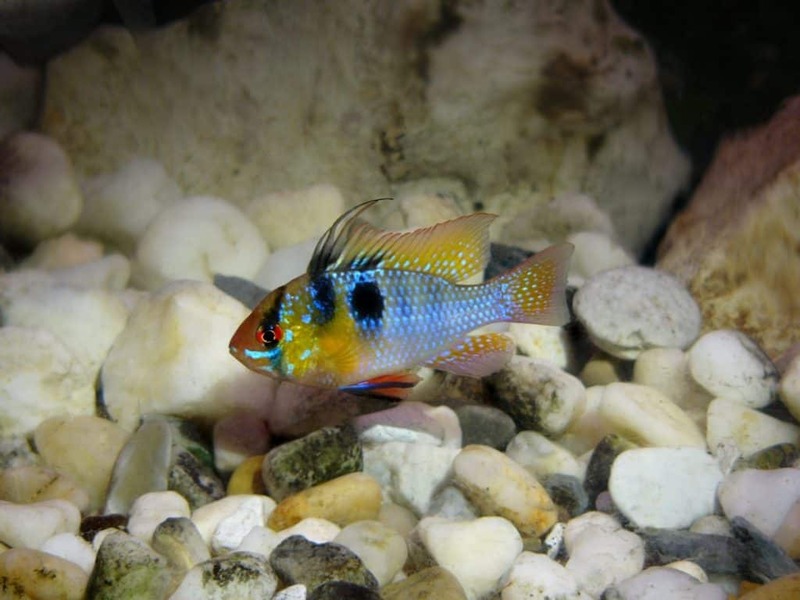 Other aspects of care that can affect Ram Cichlid growth include providing the correct environment, such as areas of dense planting and caves, water parameters, and choosing the correct tank mates. Conclusion: How Big Do Rams Get? As you can see from above the question of how big a Ram Cichlid will get does not have one simple answer. Rather, it is based on a number of requirements which we as fish keepers are responsible for providing. However, ensure that these needs are met, and it is virtually guaranteed that your Ram Cichlids will meet their growth potential. In fact, who knows, they may even exceed it! For more information on Ram Cichlids you should read our Complete Guide To Ram Cichlids.